ALDI takes product quality and safety seriously. ALDI wishes to advise all customers of a recall of the below products. 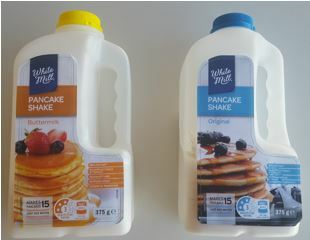 The products have been available for sale in all ALDI stores. Food Safety Hazard: Consumers with an egg allergy or intolerance may have a reaction if these products are consumed. What to do: Consumers with an egg allergy or intolerance should not consume these products and should return it to the place of purchase for a full cash refund. We apologise for any inconvenience.